Why no, I will not shut up about how much I like love adore HAVE INSANE AMOUNTS OF LOVE for Stormdancer. It’s one of my favorite books ever. 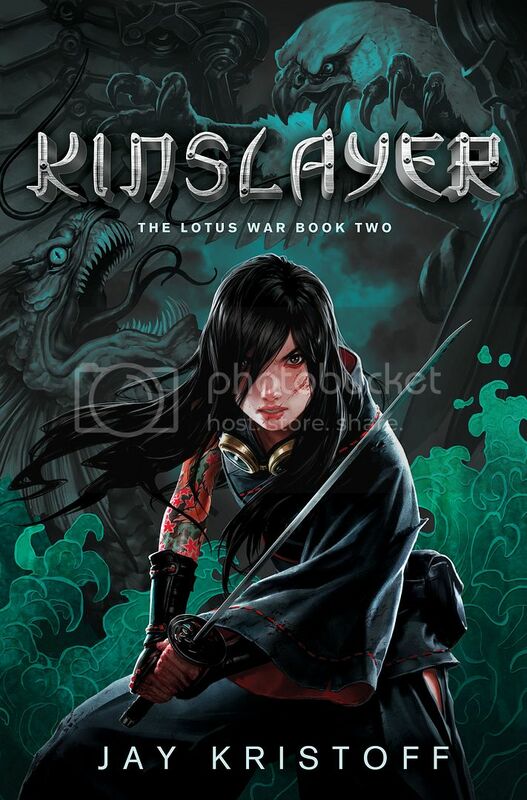 With the cover of Kinslayer revealed this past week, it felt like the right time to honor it with this obvious, long-time-coming WoW. I UNDERSTAND YOU COMPLETELY. My best friend and I ADORED Stormdancer and we can't help but fangirl over it. I've been stalking Kristoff's site (not as creepy as it sounds!) and I feel like i'm in for an emotional whirlwind with Kinslayer. I still need to read the first book, but those covers are badass. I'll definitely check out stormdancer. Great pick! YAY! Please do! I hope you love it like I do 😀 It's so awesome! YAY MORE STORMDANCER FANS. And I totally stalk Kristoff's site as well – he's so awesome and hilarious. So no judgment here.